Rising above the Tokyo skyline is a structure that looks like a conglomeration of the Eiffel Tower and the Seattle Space Needle. It is one of the tallest structures in the world, and it combines Tokyo’s futuristic character with traditional Japanese values. How? The Tokyo Skytree was built using the same principles as the Japanese pagoda, a type of tower with many roofs stacked atop one another. Its stability springs from its central pole, called a shinbashira. In the case of the Skytree, this central pole is in the form of a massive concrete tube, fastened to the rest of the tower using fuel dampers invented by NASA. Even in an earthquake, the tower is designed to sway against this pole without sustaining harmful structural damage. 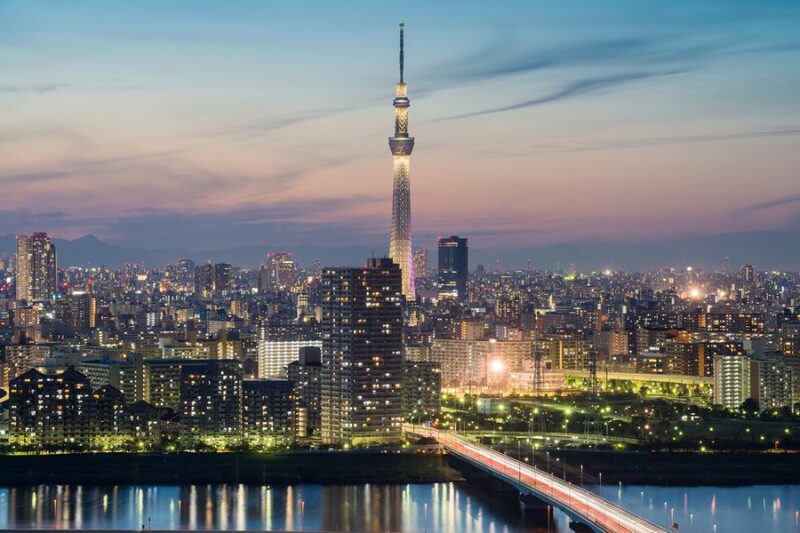 What else does the Tokyo Skytree have to offer, and why should it find a home on your bucket list? This informative travel guide has all the information you need to make your visit to Skytree Tower an unforgettable experience. Not only is Tokyo Skytree the tallest structure in Tokyo, but it is the tallest in all of Japan. Its total height is 634 meters, or just over 2,000 feet. That makes it the second tallest building in the world, second only to the Burj Khalifa tower in Dubai. It does hold the title of world’s highest tower. Did you know? The height of the tower, 634 meters, can also be read as Musashi, a historic name of the region of Tokyo. The Skytree, however, is more than just an impressive piece of architecture. It houses a broadcasting tower, restaurant, and observation deck. The area around the tower is a mecca of shopping and dining. Another recommended way of access is to take the Chuo-Sobu line to Asakusabashi Station (covered by the JR Pass), and then the Toei Asakusa line to Oshiage Station “Skytree” (not covered by the JR Pass). Using this connection, the travel time from Akihabara Station is 23 minutes. You can also go from Sensoji Temple or the Asakusa area walking in less than 20 minutes. A basic adult ticket to the Skytree costs ¥2,060, or $18.17 USD. The basic ticket provides access to one of the two observation areas, the Tembo Deck. For an additional ¥1,030, or $9.09 USD, you can also visit the Tembo Galleria, which is 100 meters higher. Tourists may opt to purchase a Fast Ticket at a higher price to avoid long lines. Fast Tickets to the Tembo Deck cost ¥3,000, or $26.46 USD, and ¥4,000 or $35.28 USD for the Galleria. Skytree is open daily from 8 am to 9 pm. A maximum of 10,000 tickets are sold each day. Tickets to the Tembo Deck can be purchased on the tower’s fourth floor; tickets to the Galleria may be purchased at the top floor of the Tembo Deck. Making a reservation at one of the tower’s restaurants will ensure that you receive an entry ticket. The three-level Tembo Deck soars above Tokyo at a height of 350 meters, or over 1,100 feet. The Tembo Galleria reaches 100 meters, or 328 feet, higher. 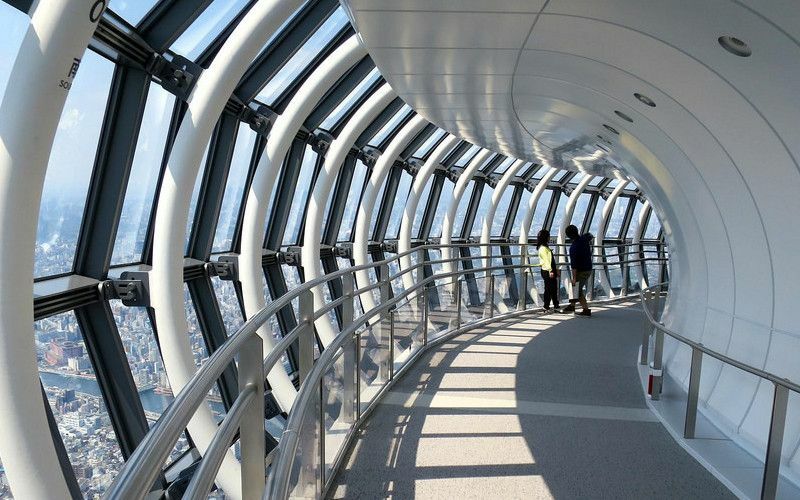 These are the highest observation decks in Japan, and some of the highest in the world. Either deck offers stunning views of the city. The decks are enclosed and can therefore be enjoyed in any weather. 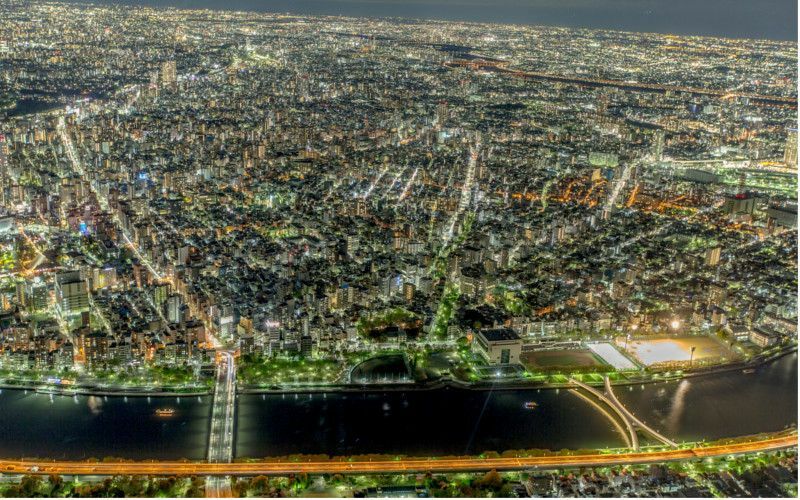 You will be able to see the Sumida River, as well as Tokyo’s old downtown area, Asakusa. The decks also offer a number of dining and shopping options. The Tembo Deck is home to the French-Japanese fusion Musashi Sky Restaurant. Tokyo Skytree Town, also called Skytown or Solamachi, is the shopping and entertainment district surrounding Tokyo Skytree. It is home to more than 300 restaurants and shops. One popular destination is the Pokémon Center Skytree Town. This Pokémon Center features exclusive merchandise, such as a plush Pikachu holding a model of the Skytree Tower. If shopping is not your thing, be sure to check out the planetarium as well as the Sumida Aquarium. The aquarium is home to more than 10,000 animals and the largest open indoor aquarium tank in Japan. 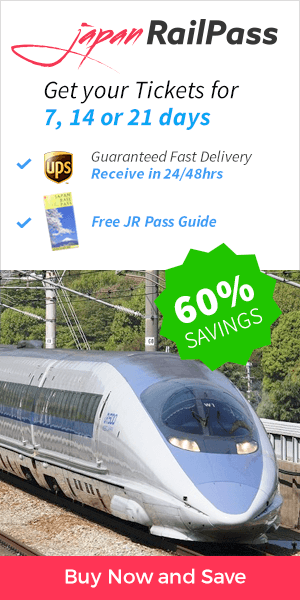 The sky is the limit when you visit Japan with the help of the JR Pass. Start planning your next Tokyo adventure, today!